Disclaimer: I was given this product for the purpose of review. I was not paid to write this review. 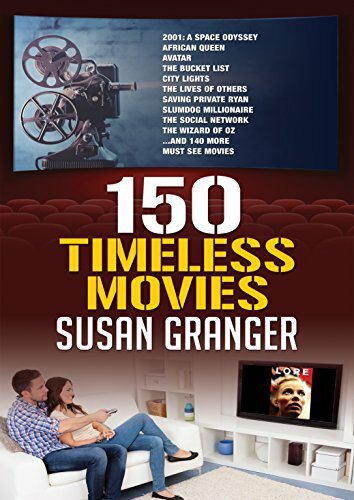 This is a choice collection of 150 movie reviews of classic and contemporary timeless movies by international syndicated film critic Susan Granger. It includes films from the earliest days to today, from the Russian film, "Battleship Potemkin" (1925) and "Gone With the Wind" (1939) to "Bridge of Spies" (2015) and "Zootopia" (2016). 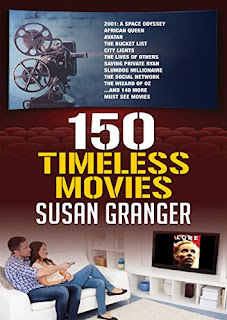 150 TIMELESS MOVIES includes reviews reprinted from Granger’s popular website, www.susangranger.com, as well as more than two dozen new reviews of English and foreign film classics. There is an original introduction by Granger, who grew up in Hollywood; her father was director/producer S. Sylvan Simon, and, after his untimely death at 41 while filming "From Here to Eternity," her mother remarried and Susan’s step-father was MGM executive Armand Deutsch.